There was one night in particular when I really was hoping Disney Cruise Room Service could deliver a magical experience for me. 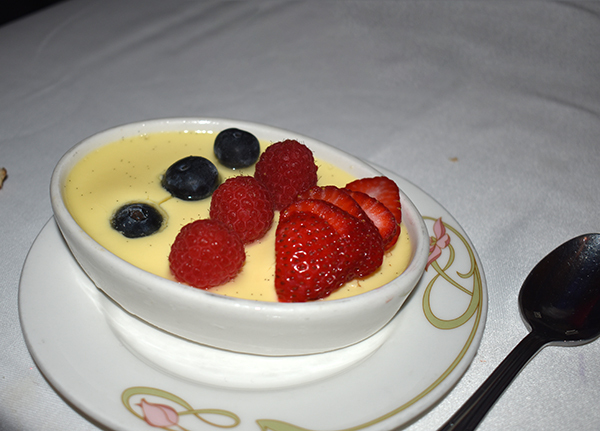 We were aboard the Disney Magic on our first Disney cruise, and we ate the most delicious banana creme brulee, or maybe it was the sticky date pudding that is so much like the dessert they offer at the Rose and Crown Dining Room in Epcot at Walt Disney World. 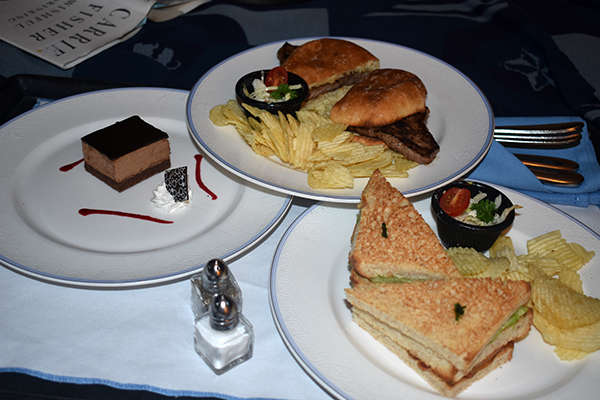 Seriously, the food on a Disney Cruise. I desperately wanted to have another dish of it, but our servers were less than obliging. After dinner we watched our nightly show in the Walt Disney Theater, and then went back to the dining room to see if we could order a second “to go” dish if you will. They informed us we should contact room service. So, that’s what we did. Disney Cruise Room Service redirected us back to the restaurant, who then redirected us to Guest Services who redirected us back to room service. 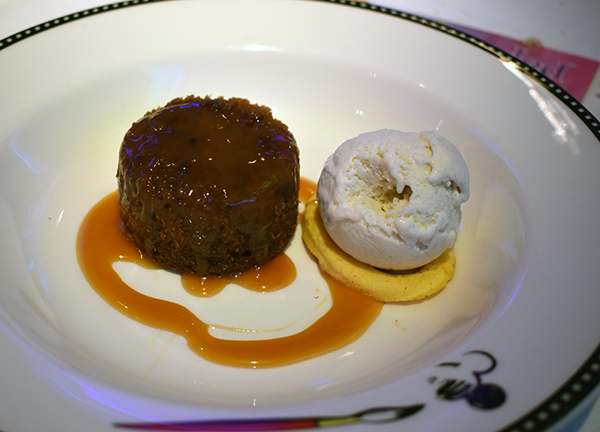 At this point, it was less about actually getting the dessert as it was seeing if anyone knew how to make some magic on a Disney cruise. Finally, someone at room service took the call and offered to put in the order, but first, they had to put us on hold. After 10 minutes of waiting, I placed the phone on speaker and thought it would be interesting to see how long it took them to get back to me. Turns out it took 90 minutes. Yes, 1.5 hours before I received a response. And the response wasn’t exactly what I was looking for. They just hung up on me. No one actually ever came back onto the phone to assist. And no one from Disney Cruise room service showed up at our cabin. Exactly nothing was the response from room service. In fact, we actually left our cabin for a little bit to walk around the ship and when we came back I was still on hold! No banana creme brulee or sticky date pudding was to be enjoyed by anyone in our cabin that night. It was disappointing to say the least. Not that I didn’t get another desert, but that they would disregard such an easy request, and actually make the situation so bad to begin with. It’s a freaking dessert; just go into the kitchen and get it! Juxtaposing this experience against with our next cruise on the Disney Wonder, was totally different. 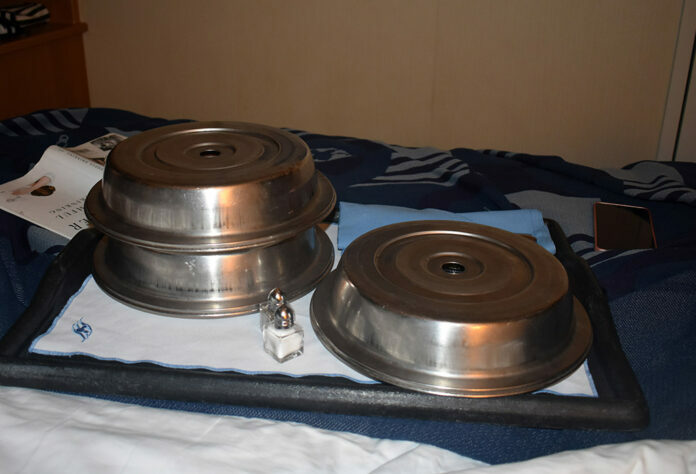 On the Disney Wonder, room service ponied up anything we asked for without a moment’s hesitation. Even when I tripped and dropped it all over myself and the floor. 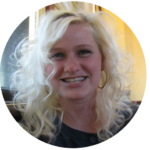 The takeaway I guess is that your experience will vary depending on the cruise, or the team on duty. On the Disney Fantasy, Room Service could not have been more accommodating and helpful. Regardless of any ship, the Disney Cruise Room Service menu is quite small, underwhelming and is filled with typical offerings that are simple to produce and easy to deliver. Our recommendation is just to go to the ship restaurants yourself and take the food back to your room. It’s easier, faster, and offers a bigger selection. We recommend early dining to ensure you can have seconds of anything that caught your tastebuds during the first serving. ► For Kids: You can get a famous Mickey Ice Cream bar any time of day, or milk and cookies (even warmed up if you request it) from Disney Cruise Room Service which is probably the best thing on the menu. With so much to do on and around the ship, it just doesn’t make sense to wait around in your room for someone else to bring you food unless it’s the middle of the night. While our experience aboard the Disney Magic all around was fantastic – after all, we have gone on three Disney cruises in three years – there was definitely something missing when it came to the service. At the end of your cruise you’ll be given a chance to fill out a survey about your experience, but there isn’t much room to elaborate and no one will be following up on your lackluster experiences. Check out Everything Else You Need To Know About Cruising With Disney to find out how to make a real complaint. ► Nap-Time Version: Room service on a Disney Cruise can be underwhelming with very few options and sometimes you might have to wait 90 minutes just to talk to someone. Skip room service, but do not miss the nightly shows aboard your Disney Cruise! They are exceptional. If you do anything, head downstairs for the nightly fanfare in the Walt Disney Theater!